Trust so you may be open. Be open so you may embrace life. Embrace life so you may live in the moment. Live in the moment so you may live fully. Live fully so you may love. Love so you may be loved. Be loved so you may give comfort. Listen so you may learn. Learn so you may risk. Risk so you may grow. Grow so you may flourish. Flourish so you may share. Be still so you may meditate. Meditate so you may become wise. Become wise so you may share your wisdom. Share your wisdom so others may learn. Be thankful that you can create beauty. Create beauty so you may bring joy. Play, dance, sing, dream, be joyful. Be joyful so you may share your light. Do you know that nutcrackers existed as far back as 8,000 years ago? Well, yeah, they were stones, but those were the original nutcrackers. Metal, brass and iron nutcrackers came along much later and were designed for usefulness rather than beauty. It was not until the 15th and 16th centuries that woodcarvers began carving beautiful nutcrackers. The carving of nutcrackers in the likeness of animals and humans began in the 18th and 19th centuries. In 1872, the first commercial production of nutcrackers was begun by Wilhelm Füchtner, the “father of the nutcracker.” And now we find many styles available, especially during the Christmas season, and many people collect these interesting, decorative objects. 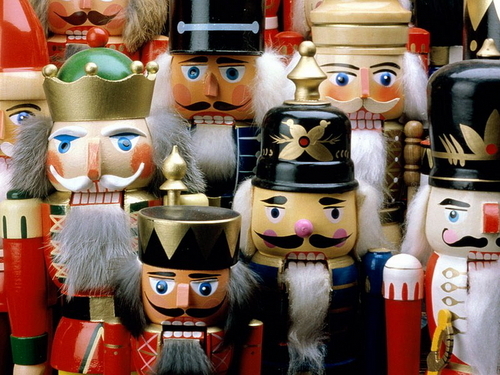 Today, when I think of nutcrackers, I think of the decorative toy soldiers. But as a child, I did not know of such things. Walnuts were a staple in the six Christmas stockings that hung in our home, but even using the metal nutcracker was beyond our strength. Daddy became our nutcracker – literally – because he had such strong hands he could crack the walnuts without the use of a tool. So, here’s to the family nutcracker whose hands are now at rest. So, come to these homes for Christmas and walk on down to the waterfront for the flotilla afterwards. Make some more hometown memories again this year. Too many times we deny ourselves that which we need the most. Today it is 65 degrees and sunny and I was working in the house trying to make some order out of years of chaos. I have given myself a deadline for this task and though I will not get 21 plus years of stashing things for later done by that time, I do have a set amount that I expect to accomplish. Then I heard the weather report for tomorrow. 53 degrees and rain. It occurred to me that I cannot count on many more days of walking barefoot on the beach before the cold weather sets in for good. 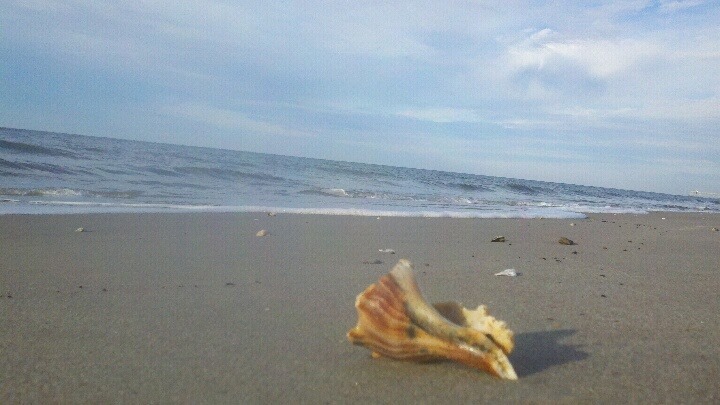 So, I walked away from my tasks and took myself down to the sea. The tide was low, the sun was shining through a mist that came close to obliterating the horizon line, and a light southwest breeze stirred the sea oats. The water was mostly smooth with a breaker sliding in every so often. Pelicans soared close to the surface of the sea and seagulls congregated at the edge of the tide. There were a number of beached jellyfish and a fisherman sitting in a chair, surf fishing with three rods, music on his radio and his dog by his side. I could count on one hand the number of people I saw – all with their dogs. 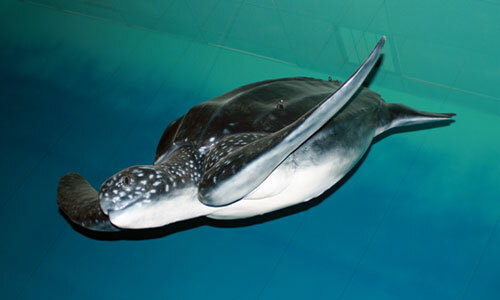 It was enchanting, exhilarating, lovely, peaceful, fulfilling….. The work was still here at home when I returned refreshed and ready to dig in again. 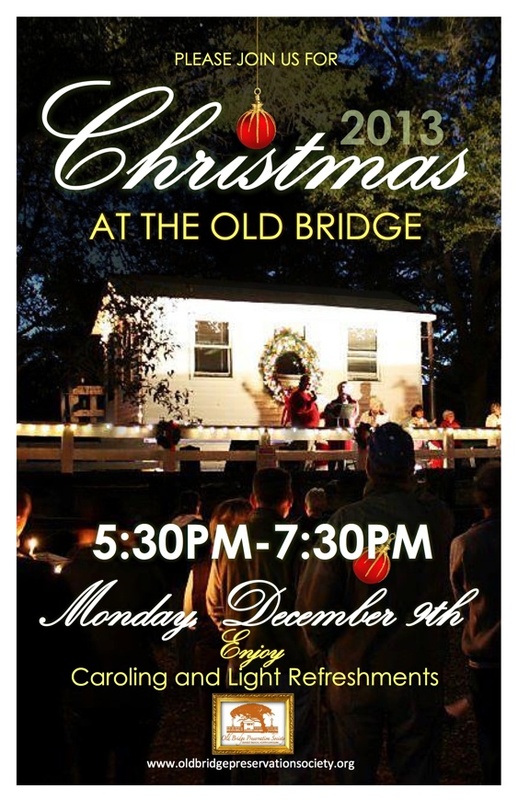 Deck the Halls with Boughs of Holly…..
…and the Old Sunset Beach Bridge, too! 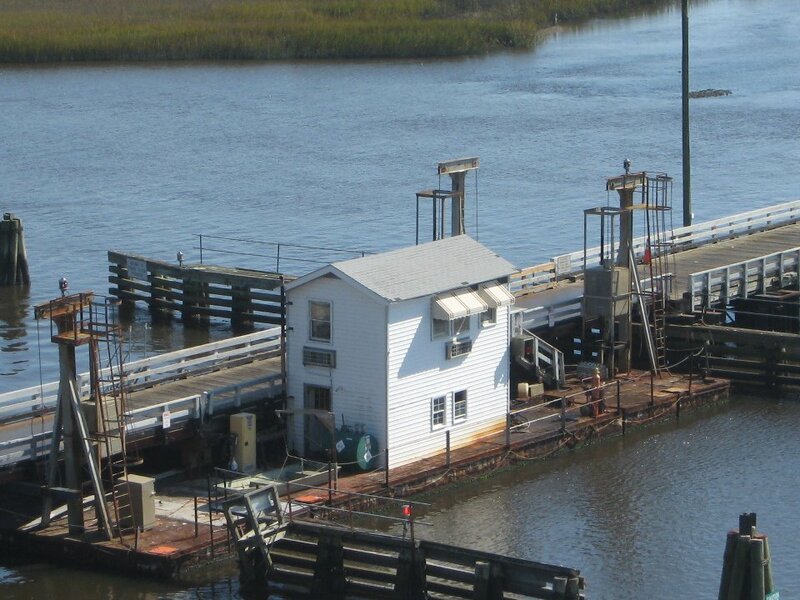 From 1958 until the construction of a high rise bridge in 2011, a one lane wooden slat pontoon bridge, opened and closed by way of hinges and cables operated by winches, served as the only route to and from the Island of Sunset Beach, NC. The bridge had several incarnations as repair work required that it be removed from the water on several occasions leaving crossing by boat the only way of crossing the waterway. In the 1980s discussions began concerning the building of a new high rise bridge. Some home owners objected because they liked the easy pace of living required by the very nature of the bridge and the sound of the horn announcing the opening and closing of the bridge to boat traffic on the Intracoastal Waterway. Some thought a new bridge would lead to more development. Others were concerned about environmental damage. Eventually, progress won out and the new bridge was finished in 2011. Residents were concerned about what would happen to the old pontoon bridge and formed the Old Bridge Preservation Society. This group, with the help of Ronnie and Clarice Holden who donated the land, arranged for the old bridge to be relocated to a lovely spot under the live oak trees. The bridge that sat so many years in the brackish water, now rests on a shady spot of land.